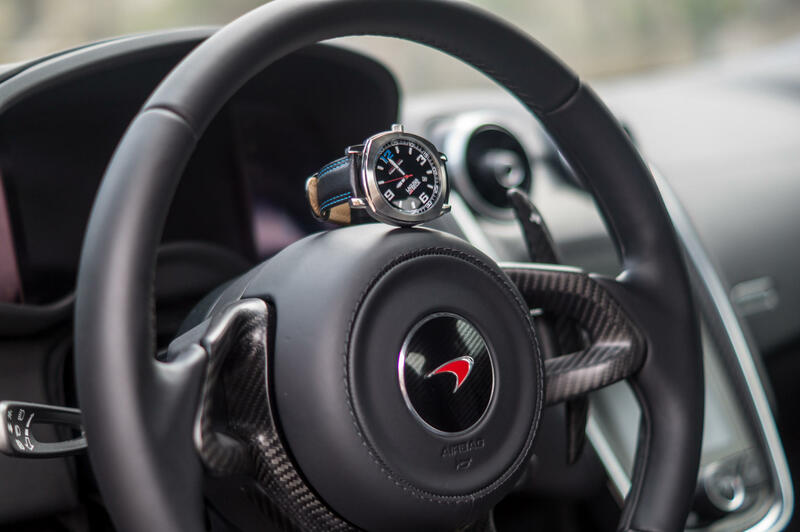 We went through history and noted that no one had ever done an affordable motorsport watch with a face that tilted at 45 degrees, so the driver wearing the watch doesn't have to move their hand off the steering wheel in order to see the time. 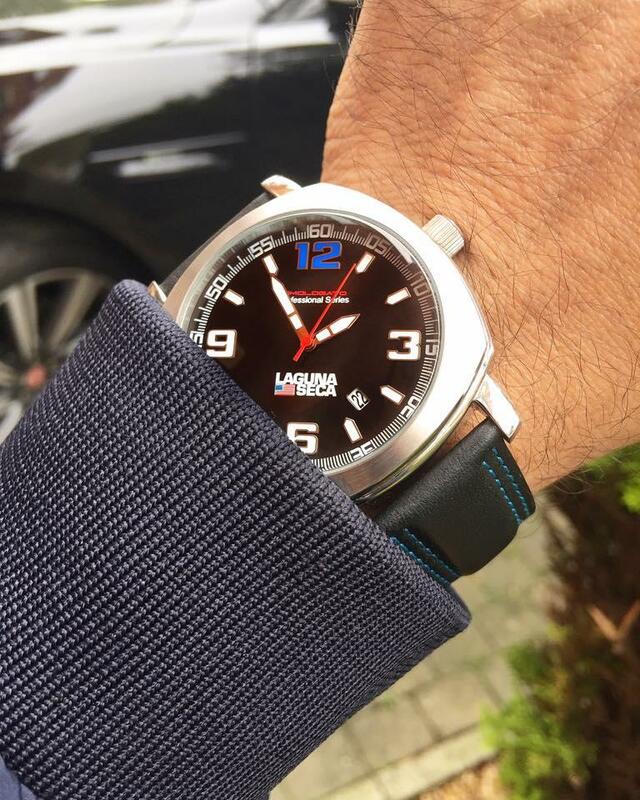 A simple solution, leaving them to concentrate on the road or track. 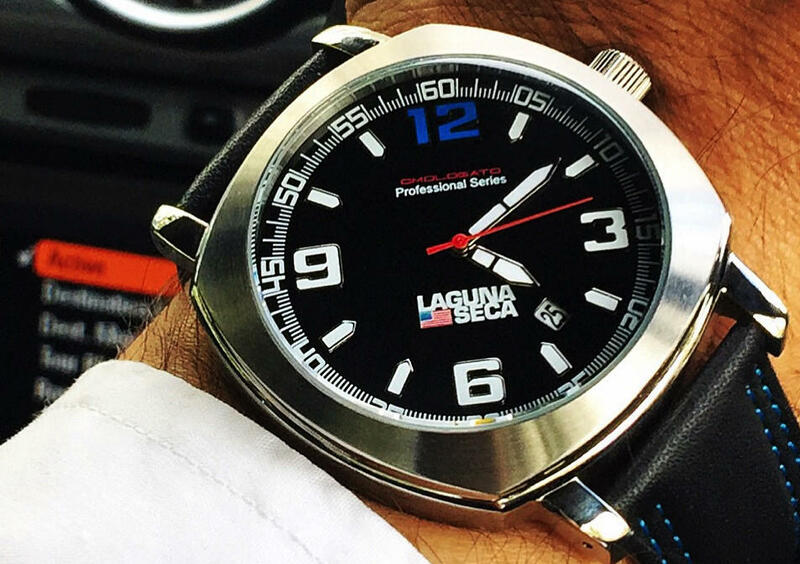 To further enhance the detailing, note both the number 12 and the contrast stitching on the watch are in Laguna Seca Blue. 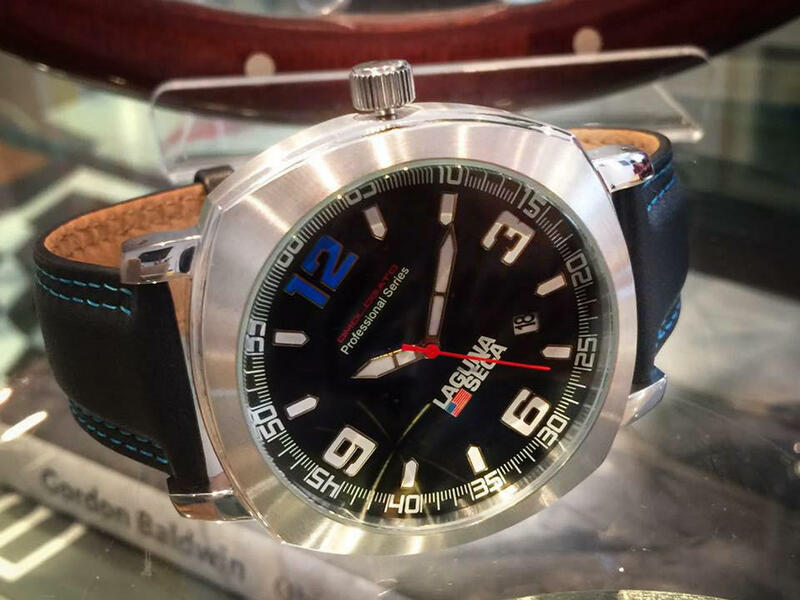 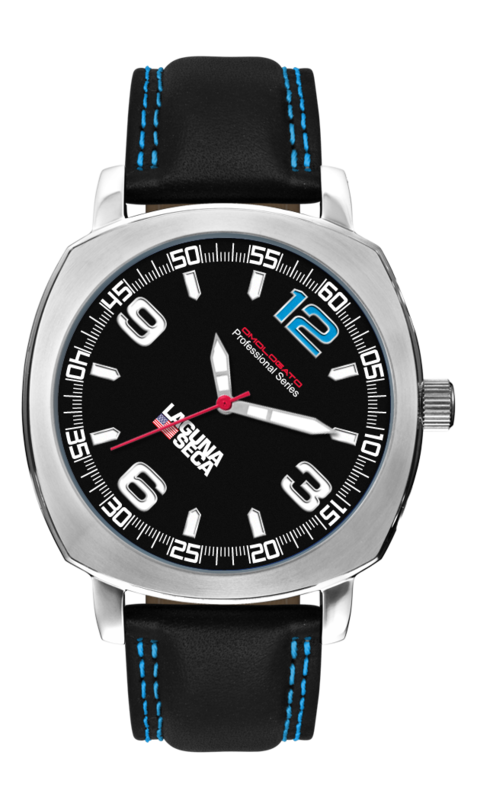 We are making a special production run of this Professional Series drivers timepiece. 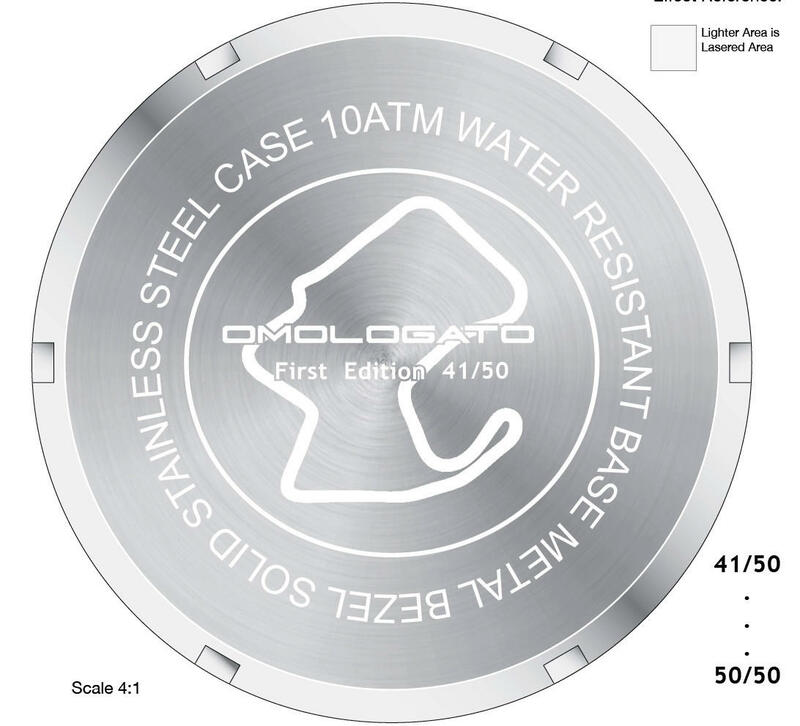 Laguna Seca® is a registered trademark of Omologato® for timepieces.